Red fox (Vulpes vulpes) vixen in a garden. 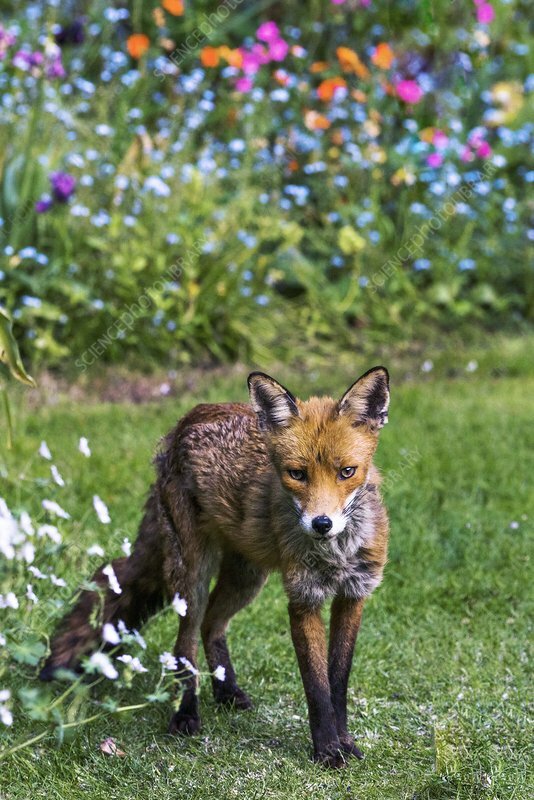 Red foxes are found in North America, Eurasia and North Africa, and are the only native wild canids remaining in the UK and Ireland. They feed on a wide range of foods, from rodents and birds to insects, eggs and fruit, and in urban areas they often scavenge from dustbins. Photographed in London, UK.